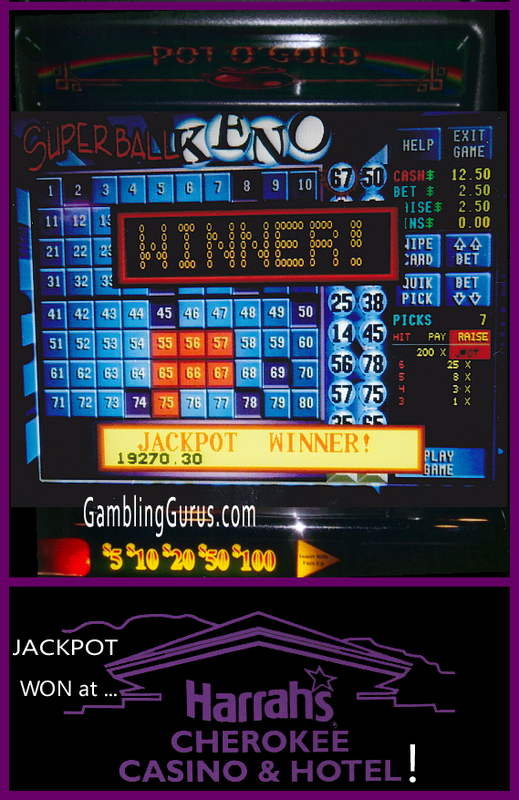 Recently went SuperBall Keno surfing again at Harrah’s Cherokee Casino and rode a Massive Win Wave for a Progressive Superball Keno Win! Took Ms Guru with me this time just for an extra measure of good luck. Details as it happened – We scoped the casino floor throughout and found a progressive Superball Keno bank with a wicked Progressive Jackpot amount in the 19K range! Sweet, right? Well, it is if you can manage to play on your initial deposit for awhile without having to feed the slot monster. So we sat down, rather Ms Guru sat down at an end machine on this progressive bank of video poker and keno machines while I stand beside her. I grab a quick $20 out of the old, but trusted wallet, and insert it into the machine and the game is on! Ms Guru is pumped up about this big progressive jackpot and energetically commentsthat we are going to hit this one. I think she’s dreaming but I enthusiastically go along with her positive mind-set and encourage her to go ahead and select us some good numbers to play. She selects us our regular 7-number pick to start off with. We play several drops and get a couple of small wins, the most being around $60. We play several more drops using our initial set of 7-numbers and realize that our “regular keno numbers” are just simply not hitting. So before the next drop I reach over to the screen and change a couple of numbers around by selecting 2 new numbers. At this point we have $17.50 left in the machine. I hit the “Play” button and we get 6-Keno Numbers on the first drop, we both look at each other and say “this is the one!”. Ms Guru then hits the ‘Raise’ button and 9 more numbers are dropped with none hitting our one missing keno number, and then all of a sudden, we start hearing the machines on the other side of the bank start ticking and our elusive Number 67 hits our Superball Keno Spot for an amazing $19,270.00 Progressive Superball Keno Win! Play Free Powerball Keno Here! SED Gaming (formally Vision Gaming) is a casino games software provider specializing in Class II and Class III gaming markets. They offer casino games and management systems products that continue to attract players and are a profitable platform for their land-based casino clients. SED Gaming produces individual and multi gaming platforms. Pot O’ Gold is a multi-player system with many popular titles. The excitement of winning and user friendly styles of their games keep players coming back time and time again. 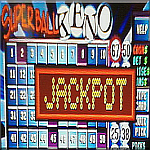 Games on offer include: Slot Games, Poker Games, Keno Games, Bingo Games, Blackjack, Lotto and others are all available.